Among the victims were at least nine who were struck by lightning between Sunday and Tuesday, and four others were killed by lightning bolts on April 4-5. The victims include three from Nashik's Vajhgaon, Akrale and Ayane villages on April 16. A shed adjacent to a farmer's house in Indapur caught fire after lightning and winds in which at least a dozen hens, seven goats and two cows perished. A man was struck fatally by lightning at Mauje Bhorwadi in Nashik on Monday and another farmhouse caught flames killing at least nine cattle in Lakhiwari village. Similarly on Sunday night, three farmers of Manori village and a woman were hit by lightning, while a man was killed when a falling tree crushed him in Mauje Malegaon. 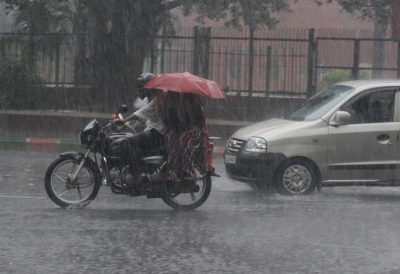 Parts of Mumbai and suburbs, Thane, Navi Mumbai and Palghar had experienced showers on Sunday-Monday. The India Meteorological Department (IMD) has forecast thunderstorms with lightning and strong winds at various places in Nanded, Latur and Osmanabad on Wednesday. Prime Minister Narendra Modi, addressing an election rally in Solapur earlier in the day, expressed grief over these deaths and assured full help from the government to the victims and their families.